The design of a book cover has a huge influence on whether a reader chooses to purchase that book. Therefore, it’s important for authors and publishers to be conscious of a reader’s perception of your cover design. Take, for example, this PickFu poll of two different book cover designs. Option A features one person dragging a body through a grove of palm trees, silhouetted against a blue, twilight sky. Option B features a simple silhouette of a cat against a red background. Can you guess which one won? Option A won the poll decisively. Out of 50 total respondents, 33 preferred the blue design, while only 17 preferred the red design. In fact, the blue design won the majority’s support among all the demographic groups surveyed. Why was Option A so much more popular? The written responses reveal two repeating themes: color preference and messaging. The color preferences are fairly straightforward. Some of the respondents said that they chose a cover based purely on a preference for the color blue or the color red, without articulating any more complex factors. 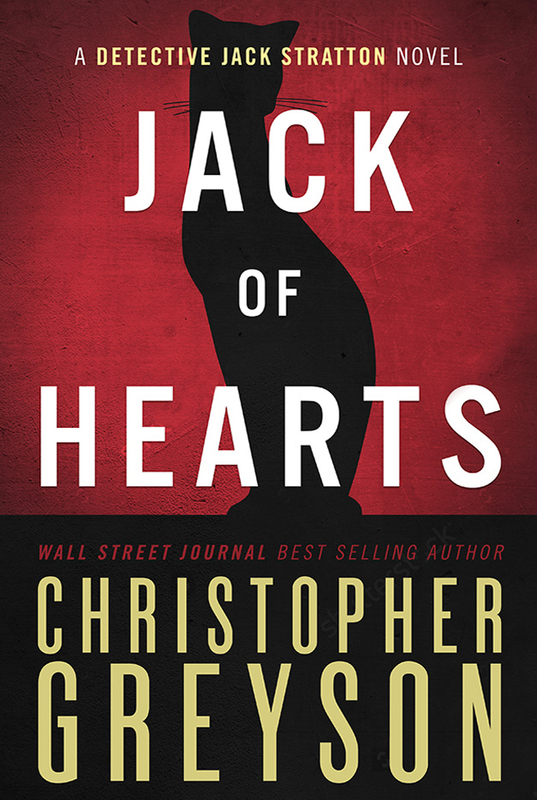 However, one respondent made an interesting color association when he said that the title Jack of Hearts brought playing cards to mind, so black and red seemed more fitting colors than black and blue. Meanwhile, approximately one out of three respondents who chose the red cover also said that their preferred design was more “mysterious.” However, unlike those who preferred the blue design, these respondents specifically invoked the term cozy (used in the pollster’s question) to defend their choice. According to these respondents, the simplicity of the cat silhouette is more aligned with the cozy mystery genre. Both groups used almost the same logic to make their choices. Their viewpoint depends on what messages they derive from the images. When designing a book cover, it’s important not only to attract customers to pick up the book, but above all, to attract the kind of customer who will enjoy the book’s contents. The cover provides critical information about the type of book the reader should expect. The blue cover provides more of a story preview to the viewer than the red cover. We can tell that there is a murder, that the corpse is likely hidden by the perpetrator, and that the murderous deeds probably take place at night in a tropical location. By contrast, the red cover gives almost no information. We might assume that a cat is involved in the plot, but besides that, we know almost nothing about the story. This may help explain why so many more respondents found the first design to be more “intriguing.” They have enough information to be curious about the story. Seeing the body being dragged along the ground, they might wonder who the killer is and why he committed murder. While it is possible to go too far and overwhelm the viewer with too much information, Option A seems to strike the right balance. It reveals just enough to prompt readers to learn more, but not so much that they feel they’ve got all the information they need. What are you trying to convey? The takeaway: always consider the subtle messages that your cover design sends to potential readers. If you’re selling a dark, gritty story, the cover should set those expectations. However, if you’re selling a lighter story, stay away from anything too graphic because it might put off readers who want something less gory. In the end, you must understand your readers’ desires and create a cover design that shows them your book can fulfill those desires. Ready to try it for yourself? Start your own PickFu poll now! 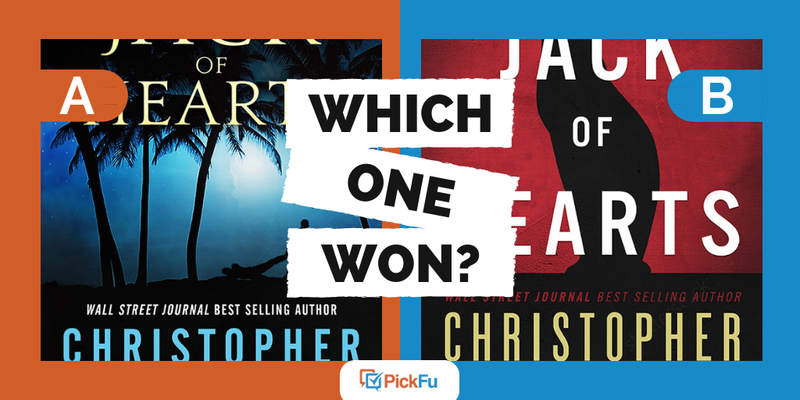 Learn More:Authors improve their book marketing efforts by using PickFu to test book titles and covers with potential readers targeted by literary preference, number of books read per month, and more. Start uncovering actionable, audience driven data today. Filed under: Authors, Which One Won?